Warner Bros. has released an official, high-res image to Justice League: Throne of Atlantis' Blu-Ray and DVD box art. 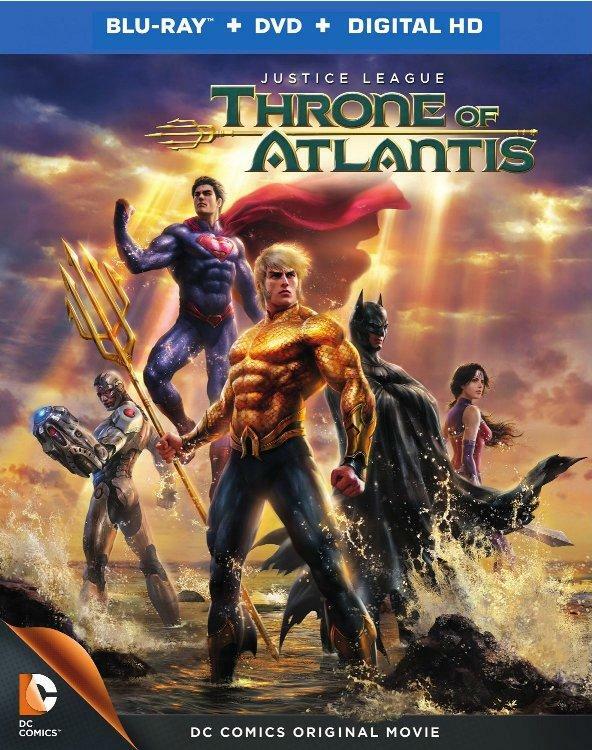 The next installment in Warners Bros. Home Video's animated Justice League series, Throne of Atlantis adapts the New 52 Justice League story of the same name by Geoff Johns and Ivan Reis. In the aftermath of the League's battle against Darkseid in Justice League: War, the underwater kingdom of Atlantis declares war against the surface world. As the Atlantean prince Ocean Master and supervillain Black Manta launch their attack, Atlantis' queen searches for the throne's true heir, Arthury Curry. Unaware of his underwater origins and royal bloodline, Arthur must accept his fate as Aquaman, Atlantis' true leader and Justice League member. Though Aquaman was a founding member of the Justice League in Justice League: War's source material, he was conspicuously replaced by Captain Marvel in the animated adaptation. Throne Of Atlantis finally brings the Sea King into the world of the World's Greatest heroes. But Aquaman's big screen counterpart won't have to wait so long. Warner Bros. announced yesterday that Aquaman will not only star in Zack Snyder's upcoming Justice League films, but will receive receive his own feature film in 2018. Game of Thrones actor Jason Momoa will wield the character's signature trident in all three films. Justice League: Throne of Atlantis is available on January 27th, 2015.